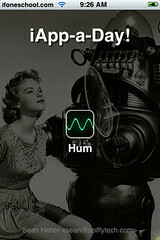 The app for November 28th is “Hum”. This app has 10 different frequencies of tones. 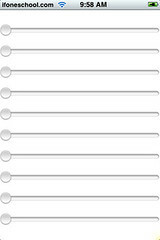 You can move the slider to change each tone frequency. 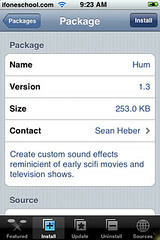 I think this is a great concept and could lead to some awesome apps. 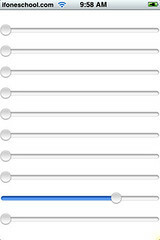 This app though, needs a little work…I get a ton of static and crazy sounds!! :) I also have issues if I try to play more than one tone at a time. Honestly, I don’t know much about music (that is why I write posts about the iPhone and not two-channel multi-tone audio frequency sinusoidal and noise signal generators – totally goggled that, I have no idea what it is!). Anyway…from what I can tell this would be a pretty cool app it just needs a little work. The static thing is weird. When I developed the app a day or so ago I didn’t have a problem with the sound – but this morning I did. I restarted my phone and now the sound is smooth like it should be. 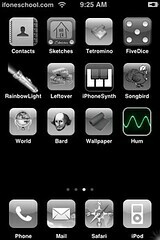 As an aside, even Piano had a lot of static this morning until I restarted the phone today. Very strange – but give that a shot. I restarted my phone again and you are right it sounds much better!! I don’t know what the deal was. But, wow, what a difference…like a totally new app! I will be sure to update the Hum page later today to have correct info. Thanks for the tip!! I love this App! Question: would it be possible to have it save it’s state between launches? i.e. 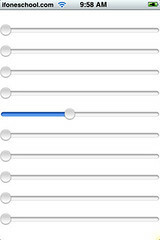 have it remember the last slider settings it was set to? I imagine you would have to create some sort of preferences file that it saved info to.